Sometimes (a lot of times), my brain is all over the place and — have you guys seen “Bad Teacher” yet? Right, where was I? Ahh, yes … here’s what I currently can’t get enough of, in no particular order, because my life is in constant dis-order. Pugs: When I was little, our neighbors had a pug named Porter. I was dying to love him and squeeze him and take him home with me. Here we are 20ish years later, and I planned to steal a pug I met this weekend. Hector, you’re mine. I officially need a dog. This Cake: A fab co-worker and her husband are todes mcgodes the culinary dream team of the year. 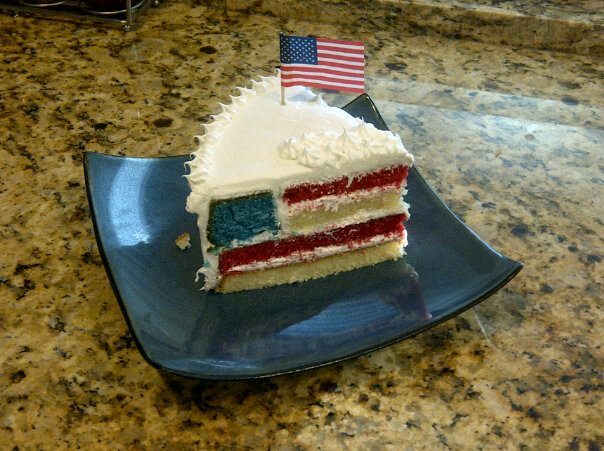 Their patriotic cake was not only delicious, but it looked freaking fantastic. Compliments to the chefs — and thanks for sharing with the birthday girl! Zen Motivation: When life gets too cray cray, I have to remind myself to take a step back and breathe. This poster is perfect for doing just that, and the vintage feel (+ price tag, hello!) = perfection. Check out KeepCalmPosters’s shop on etsy to see the various styles. Old-School Blink 182: One of my favorite bands ever, Blink keeps coming up on my iPod — and I’m not complaining. The lyrics were great, the videos were hysterical, and I think we can all agree that a reunion tour is in order. 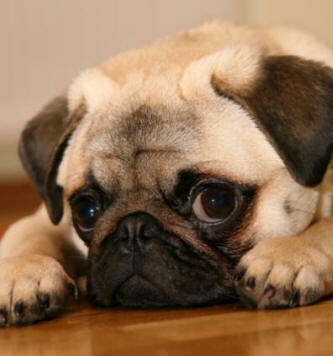 Side note: If anyone wants to buy me a pug as a belated birthday gift, I will name him after you. His middle name, granted, but it’s the best I can do when you are so late with a gift. gkost says : 07.07.2011 at 8:31 pm.p. Look at you 2 and your blog love. Jerks. wittyburg says : 07.07.2011 at 9:24 pm.p. Aww, is that a hint of jealousy I’m hearing, GareBear? What’s your blog? We’ll support you too! rachel says : 07.07.2011 at 10:25 am.p. wittyburg says : 07.07.2011 at 6:02 pm.p.